The classic American life can be summed up in Pleasantville, NY. You can see children walking to school along tree-lined sidewalks. On warm days, you can spend the afternoon on the front porch, talking to friends and neighbors. And you can expect local shop owners to know you by name. All the qualities that Pleasantville implies in its name are held true. People here enjoy a quiet, calming lifestyle that reminds them of their hometown. If transportation is at the top of your mind while searching for a new home, rest assured there are multiple options available in Pleasantville, NY. For quick and convenient access to Grand Central Terminal, you can take the commuter train from Pleasantville Station. Pleasantville rests along the Saw Mill River Parkway, where you can then access the Taconic State Parkway or I-87. Major airports aren’t far way from Pleasantville, giving you access to hubs like JFK, Newark, and LaGuardia. Though Pleasantville’s history does play a role in the Revolutionary War, the village’s growth didn’t start until major railways were built during the late 1860’s. Once the community was connected to New York City, it quickly became a haven for city dwellers looking to escape the hustle and bustle. 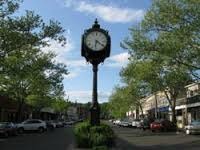 People often remark that Pleasantville is one of the best smelling villages — because of the many oak, maple, and pine trees. Today, you can still get that sensation. Green grass and stately trees occupy many areas between homes in Pleasantville, giving people a fresh break from the steel-covered city of New York. As mentioned before, Pleasantville lives up to its name. Neighbors are welcoming, shop owners greet you with a nice hello, and kids can find wonderful places to play. It’s not only easy to conjure up the American dream here; it’s easy to live it. If you’d like to learn more about living in Pleasantville, feel free to contact us with your questions.